Texas pride is founded on grit, perseverance and a healthy dose of determination. Any Texan will tell you that a challenge is only an opportunity to show your strength. But for non-traditional students, obtaining an education no longer need to be an unconquerable task that pushes you to the edge of your ability. While gaining an education in unique circumstances once seemed to be impossible, with online colleges in Texas, students in any situation can succeed. Texas education from a number of great schools is strongly interconnected and emphasizes flexible, high-quality, and resource-filled education. Texas offers residents everything they need to take the next step in their educational journey. Online learning is only getting better and is the perfect solution to achieve a degree whatever your circumstances. To help you find which school works best with your needs, we’ve put together a list of the best online colleges in Texas. Each school stands apart with their own unique strengths and programs, but only you know your perfect fit. Western Texas College challenges students to reach their full potential. WTC provides quality education for pre-professional, general, career, technical, workforce and foundational students. Various associate degrees are available as well as junior college credit that will transfer to a senior college. WTC also provides online students with many resources such as an online advisor that specializes in helping students taking courses through the college’s Distance Learning programs. Wharton County Junior College has four campuses located in Bay City, Richmond, Sugar Land, and Wharton. WCJC helps to assist new businesses, bolster existing businesses, and create a long-term economic growth for the surrounding community. The average annual income increase of a WCJC student is $158 for every credit completed. The school offers more than 115 courses in a wide range of disciplines. Whether you decide to take traditional, on-campus classes or online classes, the content and transferability are the same. They provide three types of distance education formats: internet, hybrid, and ITV. ITV classes provide instructional content through a two-way video communication network. 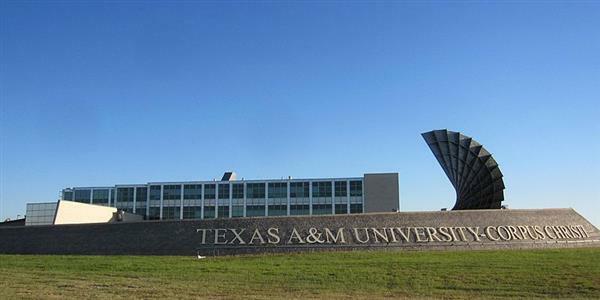 Students that want to be part of Texas A&M University but can’t attend traditional on-campus classes can take advantage of the online degree programs the school offers through its Commerce campus. Whether you prefer courses to be 100% online, mostly online, or somewhere in the middle, Texas A&M-Commerce has over 40 online degree programs for you to choose from. Recognized as one of the best online colleges in the state, Texas A&M-Commerce has undergraduate programs, master graduate programs, and doctoral graduate programs available online. They also offer 24/7 tech support for their distance learning students as well as other resources through the Academic Success Center such as tutoring and library tools. Offering 20 online Bachelor’ and Master’s degrees to prospective students, Tarleton State University functions as an extension of the Texas A&M University system. Students are able to complete their degree either entirely online or supplement their experience with on-campus classes during the day, evening, or weekend. TSU offers a variety of degree completion programs, and works closely with community colleges, making transferring as simple as possible. Military programs are also available to aid service members. Students are able to participate in study abroad opportunities, resume aid, career placement assistance, and online library and journal and database options. Midwestern State University provides over 15 degree and certificate programs online with a particular emphasis on nursing and health science. Students complete their studies in standard Fall and Spring semesters and have the opportunity to participate in an accelerated May mini-term. Online students also have preference over on-campus students in enrollment for online classes, allowing them to gain priority access to the courses they need. Students finish their program with a writing proficiency exam and a thesis based essay to demonstrate English language skills and creative thinking. MWSU knows that education can be expensive, and does all that it can to help in this regard. Online students who are non-Texas residents can qualify for discounted tuition and Texas residents who graduate within four consecutive years can receive a $1,000 tuition rebate. Houston Community College is all about offering high-quality, affordable education for academic advancement, workforce training, career development, and lifelong learning. There are over 75,000 students currently in attendance at Houston Community College. The school offers 87 majors in a variety of focuses. Houston Community College online students complete their online work through the school’s online learning management system, called Eagle Online. Transferable credits, certification programs, and a diverse assortment of majors are available. Classes in Sam Houston State University’s more than 40 online degrees and certificates follow a 16-week semester based learning schedule, allowing students to complete their degree in anywhere from three to five years. While classes may be completed entirely online in either an asynchronous or synchronous format, the option for hybrid courses (a mixture of online and in-class learning) are available as well. Sam’s online program has been nationally ranked as #6 by the U.S. News and World Report. Texas Tech University offers degrees at nearly every stage of education, from Bachelor’s degrees to Doctoral Degrees and Postgraduate Certificates. While students have the immense option of over 60 asynchronous online degrees and certificates to choose from, TTU is best known for its focus on plant and soil sciences. Hybrid programs are also available to students wishing to combine their online and on-campus learning. With the largest number of completely online programs in the state, Texas Tech has been an innovator in distance learning since the 1960’s, when professors would fly to other cities and teach through closed-circuit television. Del Mar College provides degrees and certifications in 27 different areas. Approximately 10,500 students currently in attendance at Del Mar. The student to faculty ratio is 14:1. Through their E-Learning department, Del Mar College offers three types of online learning: online classes, hybrid classes, and web-enhanced classes. Online classes are 85%-100% online and some courses may require on-campus orientation or testing. Hybrid classes are 50%-85% online and include face-to-face instruction. Web-enhanced classes meet on-campus and use web-based technology to enhance their classes. The school offers associate degrees in Business Administration and Criminal Justice as well as various other online programs. Hill College has a heavy focus on service work and preparing for a more productive life. Online classes and other resources are available. An on-campus library is available to all students. There are several student organizations to take part in. The school offers a number of distance-learning options for the students who need flexibility in their schedule. Alvin Community College’s focus is to “promote student success, enhance quality of life and support economic development.” Many certification programs are available for students to go straight in their field after graduation. 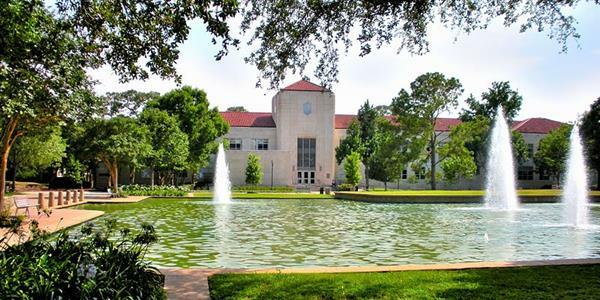 Alvin Community College is currently home to approximately 3,000 students. Online classes & resources are available. The school offers three fully online degree programs: Management, Psychology, and Sociology. They also offer a fully online certificate program in Management. South Texas College currently has 30 online programs in Texas designed for students seeking to enhance their education through an undergraduate degree. Students are able to complete their entire degree online or can transfer into a degree completion program. While some courses do require internships or other types of fieldwork, students are able to complete these requirements within their own community. Students also have strong support in their studies with enrollment aid and online advising. STC is a military-friendly university and offers tuition breaks and benefits to all active military and veterans. Laredo Community College is keen on teaching educational programs that fulfill the dynamic needs of the local, regional, and global community. The college is focused on empowering students, faculty, and staff members. There are currently over 8,000 students in attendance. The school offers three formats of distance learning courses: On-line courses, Hybrid/Blended courses, and Interactive Videoconferencing. On-line courses are done completely online and some may only need minimal on-campus activity. Hybrid/blended courses require some on-campus attendance but, for the most part, is completed online. Interactive Videoconferencing courses extend classroom lectures and other activities to students at remote sites in real time. West Texas A&M University has nearly 20 online degree programs in five principal areas: business administration, criminal justice, health sciences, nursing, and education. Degrees are offered both entirely online and in hybrid formats. U.S. News and World Report have rated West Texas among the best colleges in Texas and the nation for MBA, business, and for their veterans program. While much of the coursework is offered online, some classes to do require internships or field practice. Online students can receive assistance from distance learning advisors however on how to complete these requirements in their own community. Founded in 2013 and officially opened in 2015, the University of Texas Rio Grande Valley is a public research university which resulted as a merger between the University of Texas at Brownsville, the University of Texas-Pan American and the UT Regional Academic Health Center at Harlingen. With more than 90% of the students identifying as Mexican-American, UTRGV is considered to be the largest university in the country to have a Mexican-American student majority and is classified as a Hispanic Serving Institution by the United States Department of Education. UTRGV offers a number of fully online programs, accelerated online programs, and partially online programs. Some of the programs available include the Master of Spanish Translation and Interpreting program, the Master of Business Administration Online program, and the Bachelor of Science in Criminal Justice. Collin College offers a number of courses fully online as well as hybrid formats in areas like healthcare, business administration, multimedia, and computer education. Collin College is the only public college in Collin County, Texas. The college offers more than 100 degrees and certificates in a number of different focuses. Collin’s seven campuses serve over 53,000 students every year. Distance learners have access to a number of resources such as the school’s writing center, tutoring, career services, and counseling. Midland College differs from its fellow online schools by being one of the few universities in Texas that does not offer online degrees. Midland is designed to help students succeed in their current university faster, by providing dozens of courses that can be supplemented at Universities who are part of the Virtual College of Texas (a group of regionally accredited Texas colleges). Students in other online programs may take courses at Midland to complete degree requirements and then apply that coursework toward their current degree. Students involved in on-campus degrees in a school involved in the Virtual College of Texas also have the ability to take online classes to advance their degree. Midland functions as the perfect middle option for students unable to take courses in their given university. Students at University of Texas of the Permian Basin benefit from education taught from a global perspective. Permian Basin designs its 20+ online degrees for students throughout the world, with students participating both locally and internationally. While courses are typically taught in traditional quarters, many programs are also available to students in an accelerated eight-week format, allowing students to complete their degree in a shorter period of time. Tuition costs for students are the same, regardless of their choice to pursue online or on-campus learning. Texas State University provides fully online classes as well as hybrid courses, which is a mix of online classes and on-campus classes. Online students at Texas State don’t need to reside in the state to take part of their online programs, as the school allows students from several states in the country to participate in their programs without having to reside in Texas. Using the TRACS learning management system, students can participate in class discussions, quizzes, and submit school work. Disability resources, career services, and FAFSA financial aid is available to all qualifying students at the university. Remington College-Fort Worth stands apart from its competitor with its emphasis on vocational training and accelerated learning. The emphasis and drive are to help students achieve employment as soon as possible following graduation. To this end, there is a significant amount of occupational and career assistance available to students such as resume aid, internship and field experience coordinators, mock interviews and more. Courses are divided into 13 week quarters, allowing for students to be able to graduate in as soon as 3 years. Students also benefit from a “tuition freeze”, guaranteeing a fixed tuition price for the entirety of the student’s continuous enrollment. The University of North Texas was ranked among the best online colleges in Texas and the U.S. by U.S. News and World Report and offers students over 25 online degrees and certificates across eight academic colleges. While UNT provides a variety of coursework, it emphasizes management and technology in particular. As a military-friendly institution, UNT offers credit and tuition discounts to military students who have served or are currently serving. This allows students to potentially gain credit for military training and experience and allows veterans to obtain a degree while pursuing a career. Online courses at UNT are also the same price as on-campus courses for Texas residents. Best known for their degrees in nursing and business, Texas A&M University-Corpus Christi has 15 online degrees to choose from at the undergraduate, graduate, and postgraduate level. Stand-alone courses are also offered to on-campus students who wish to diversify their course load. The school also supports its students with a wide variety of assistance such as tech support, academic advising, access to faculty, an online library, and a free suite of Microsoft Office products to aid in studies. Stephen F Austin State University provides over 20 online degree programs, taught by the same faculty who instruct on campus (after receiving some online teaching training to aid them in providing the best possible education). Most exams and assignments are conducted online but up to three campus visits per term may be required, depending on the preference of the professor. Students are provided with numerous tools for their success including web conferencing software, an online library, career service tools, and academic counseling. Online students at the University of Texas at Austin can choose from three types of online classes: self-paced online, real-time online, and on-demand online. Self-paced online classes allow students the most flexibility, with no specific deadlines or due dates. Students who choose this track are responsible for finishing their class within a five-month period at their own pace. Real-time online classes have specific deadlines and students are required to log in at specific times. On-demand online classes are in between self-paced classes and real-time classes, as they allow students more flexibility with their schedule while still requiring students to meet certain deadlines. Through the University Extension program, students can transfer their online credits to different colleges. Lamar University knows that being a nontraditional student can be difficult, and does everything it can to create programs and classes that support the needs of working adults. As a part of this effort, Lamar has a strong Center for Military Services, designed to provide resources to active duty military and veterans. Lamar provides students with over 30 online degrees and certificates at all levels of secondary education. Students who have previously completed a degree at LU are also given preferred admission to return and obtain an online graduate degree. There are over 23,000 students currently attending San Antonio College. Flexible schedule options are available for busy students. Online classes & resources are also available. San Antonio College is part of the Alamo Colleges District in Texas and specializes in affordability, 2+2 agreements, and personalized learning. Online students can earn an AA in liberal arts or an AAS in criminal justice completely online. Students who choose to take the AA in liberal arts route can transfer to four-year colleges in the state. Students going the AAS in criminal justice route are required to take 60 credits, which includes three degree plans: law enforcement, law enforcement-peace officer, and corrections. The school also offers online certificate programs in banking, financial analysis, financial services industry, and business management. The University of Houston’s more than 50 online and off-campus programs have been ranked #2 in best online graduate education by U.S. News and World Report. The University of Houston has earned its achievements by long-term and consistent advancements in the fields of non-traditional learning. Their off-campus program first began in 1953, when courses were instructed via Television. Houston continues to be a leader in non-traditional learning by allowing students to transfer credits from other universities, create a personalized and flexible schedule, and more. St. Philip’s College is in a convenient location with class times to fit busy schedules. Tutoring labs, academic advisement, and workshops are all available. Career counseling and job assistance are also available to students. There are many transferable credits from senior colleges. St. Philip’s offers a variety of degrees and certificates online such as an Associate of Arts in General Education, which you can use to transfer to other universities. Online students can also get an Associate of Applied Science in a number of fields, including (but not limited to): Administrative Office Technology, Early Childhood and Family Studies, Health Information Technology, and Web and Mobile Developer. The University of Texas-El Paso offers 16 online degrees and certificates to students in both traditional and unique fields, such as bilingual education, security studies, and a customizable, multidisciplinary degree. Distance learners are set for success by being paired with an enrollment counselor and a student success advisor to oversee and guide students during their studies. Students are also provided with support such as disability services, career guidance, tech assistance, and tutoring. The University of Texas at Arlington is known by its competitors as providing one of the top online Nursing and Health Innovation degrees available in Texas. With an astoundingly low tuition price available to all students, regardless of location or class style, and a nursing program with one of the highest graduation and licensure rates in the state, UTA is an obvious choice for students interested in the fields of nursing or education. The school also provides its students with a tuition guarantee, meaning that tuition will remain at a fixed price throughout their continuous enrollment. In addition to a regular degree program, UTA also offers a wide variety of degree completion programs. As one of the top colleges in Texas online, Dallas Baptist University offers students more than 75 degree programs available fully online, over 360 courses, as well as a number of hybrid classes. Dallas Baptist University focuses on Christ-centered service and leadership and in addition to traditional degrees, provides academic degrees and certificates in fields of Christian ministry, education, and leadership. DBU stands apart in its ability to offer students online dual degree programs for students wishing to further continue their education with a Master’s Degree. Southwestern Assemblies of God University offers over 40 undergraduate online degree programs. Since it’s a Christian school, it’s no surprise that they have a number of ministry programs available such as theology, church leadership, and divinity. However, they also have various other secular majors including education, business, and psychology. Students wishing to be part of the religious aspect can participate in online prayer groups, live-stream chapel services, and donate to support ongoing Jerusalem Prayer Watch efforts. Library resources, tech support, and career counseling are only a few of the resources available to all online students at SAGU. With more than 40 online programs to choose from, students at the University of Houston-Victoria have a wide variety of degree options available to them from three schools: Arts and Sciences, Business Administration and Education, Health Professions and Human Development. UHV also allows students to finish their Bachelor’s degree with a variety of undergraduate completion programs. UHV’s pathways programs let students take and transfer up to six credits from another University of Houston school, providing students with greater flexibility and convenience. UHV also values its online students by providing the same faculty teach both online and on-campus courses. While just emerging into the online educational field, with three online programs currently offered, Baylor University has been a pillar of quality education since its founding. Baylor put to test the idea of quality over quantity and has been ranked by U.S. News and World Report to have one of the best online nursing degrees in the country. Online students at Baylor receive support through an online advising and 24/7 tech support. Lubbock Christian University offers 5 fully-online degree programs and hybrid degree programs – a mix of traditional on-campus classes and online coursework. The school makes sure that its student to teacher ratio is small so that students can get the most out of their educational experience. Undergraduate students can be part of the hybrid business program. Graduate students can choose from online and hybrid programs in the following areas: behavioral sciences, education, bible, and nursing. Students at LCU can expect to learn practical skills that they can use as soon as they enter the job field. LCU also offers job placement services for its students, making the transition between university life and the job field that much easier. Southwestern University is all about “fostering a liberal arts community whose values and actions encourage contributions toward the well-being of humanity.” The school has approximately 1,520 students currently in attendance. Over half of all Southwestern students take part in an internship at some point in their college career. Southwestern offers a liberal arts education with small class sizes and many collaborative opportunities. Established in 1912, Rice University is a private research university that is focused on producing tomorrow’s leaders and advancing tomorrow’s thinking. The school embraces the city life and allows college students to take part in the diverse cultures surrounding them. It is home to 14 NCAA Division I teams. The school offers a number of online courses for its own students as well as high school students looking to earn college credits before applying to universities. At the moment, only certain online courses offered through the Rice University Summer Sessions qualify for college credit. These courses include Principle of Economics, Elements of Algorithms & Computation, and Sport Marketing among others. Texas Christian University offers a variety of undergraduate and graduate courses as well as non-degree workshops for students both inside and outside of Texas, all thanks to the State Authorization Reciprocity Agreement. Subjects in the areas of nursing and the liberal arts are also available online in certain master and doctoral programs. TCU provides distance learning through the school’s Koehler Center and uses Desire2Learn as their course management system, where students can take tests and submit their work. Online library catalogs are available for students as well as scholarships, grants, and FAFSA aid for students who qualify. With more than 30 online degrees and certificates available, it’s no surprise that LeTourneau University has been ranked one of the best schools in the nation by U.S. News and World Report more than a dozen times. LeTourneau offers its students a Christian perspective on education with online courses ranging across five academic divisions: aviation & aeronautical science, arts & sciences, business & technology, education, and psychology. Online courses are synchronous, and last between three to seven weeks, with several accelerated programs available. Courses are also highly interactive, allowing students to be active participants in their education and to learn from one another. Southwestern Adventist University’s expanding distance education program provides degrees such as Business, Elementary Education, Fire Science, General Studies, Psychology, Religion, Theology, and various certifications including a new Senior Living Certification coming soon in Fall 2018. The University prides itself on the care and devotion put into their online undergraduate degrees. These degrees focus on providing students with a Christ-centered education and a foundation in the liberal arts. Courses are taught asynchronously, providing students with the ability to take classes when best suited for their needs. Schreiner University prepares students for the unscripted challenges in life, both professionally and socially. Students learn to think critically with a global perspective, communicate effectively, and learn deeply—so they can adapt and succeed anywhere. Schreiner may be relatively new to offering coursework online, but their class offerings and successes expand with every term. Schreiner offers online M.Ed. with Teacher and Principal certification, online RN-to-BSN and an online MBA with emphasis in Ethical Leadership with plans to expand concentrations in 2018-19. Students use Adobe Connect and Skype for Business to participate in engaging online dialogue and have face-to-face time with Professors. Northwood University was designed specifically to fit the needs of online and nontraditional students and is renowned for its flexibility and accommodation toward students. While the university currently offers students over 25 degrees at the Bachelor’s and Master’s level across a wide array of subjects, they are best known for their business and management education. Programs are offered either entirely online or in hybrid formats to best fit the needs of the student and students have up to five years to finish their degree. Multiple start dates are available throughout the year. Northwestern is also a military-friendly university offering tuition breaks to military members and their dependents. Texas Lutheran University is a private Lutheran school currently home to around 1,400 students. The school has about 77 full-time faculty members and has a 14:1 student to faculty ratio. TLU has sports teams competing in the NCAA Division III. While a majority of classes at TLU are taught in a traditional classroom setting, several classes offer a distance learning option as well. The University of North Texas at Dallas provides 28 online degrees in Texas at the undergraduate and graduate level to students looking for the flexibility, freedom, and convenience of fulfilling a degree online. Dallas also provides its students with resources such as online job searching, vocational advising, and access to an exclusive Texas veterans portal. The University was the first in the U.S. to offer a completely online library certification as well as a graduate applied anthropology program. Our Lady of the Lake University is a Catholic-centered university providing flexible asynchronous online courses to its students. OLLU is a teaching-centered university, guaranteeing that the focus is the success of the student. In order to further help with student success, online orientations are provided to every student to instruct them on how to understand and access their coursework, collaborate with other students, take exams, and understand and access their available online resources such as admission advisers, professors access, and 24/7 online tech support. OLLU is also a military-friendly institution, offering service members a 10% tuition discount. If your school isn’t included on this list but deserves consideration for a future, updated version reach out to us today and let us know why your school is one of the best colleges in all of Texas.